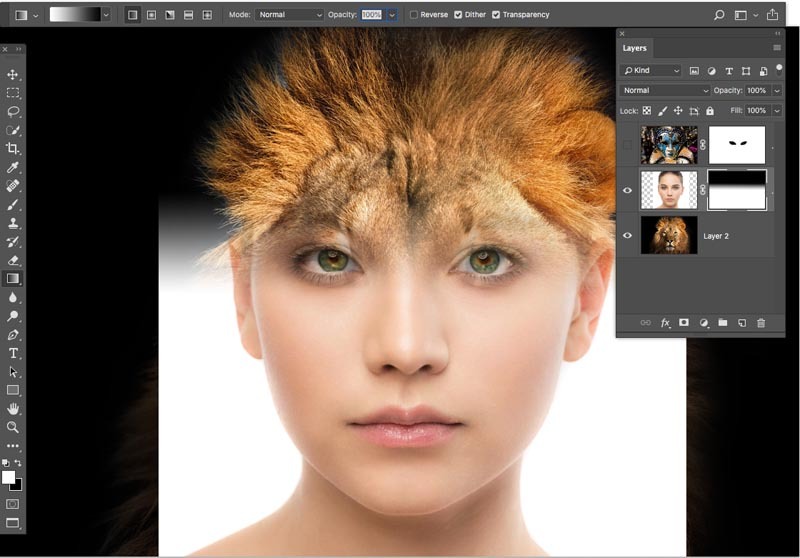 The most important tool in Photoshop for creatives is Layer Masks. 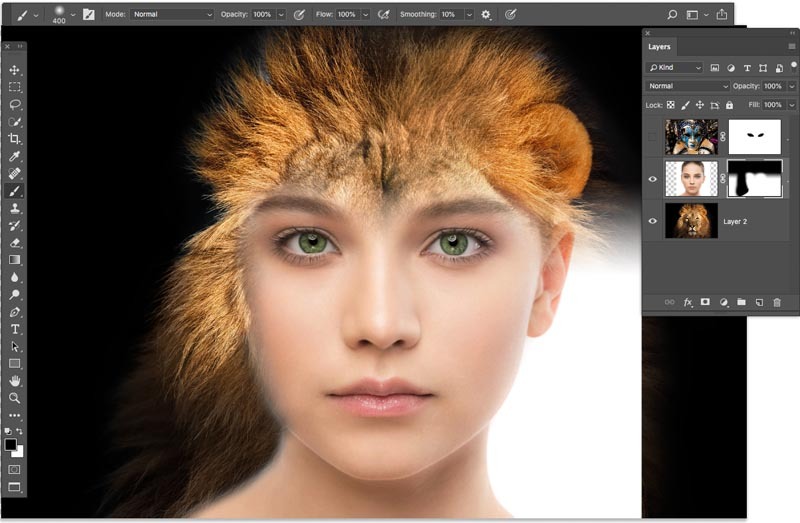 There is confusion, but Layer masks are very easy once you understand how they work. 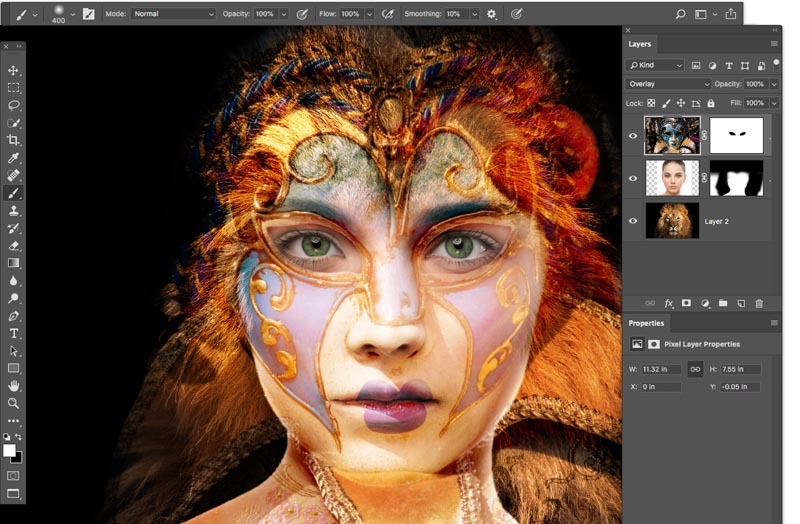 Layer masks are a better way of cutting out layers and photos than using the eraser tool. They are non destructive and provide much more control. Once you create a layer mask, it is white. White has no effect on the layer, painting with black will reveal the underlaying layer. 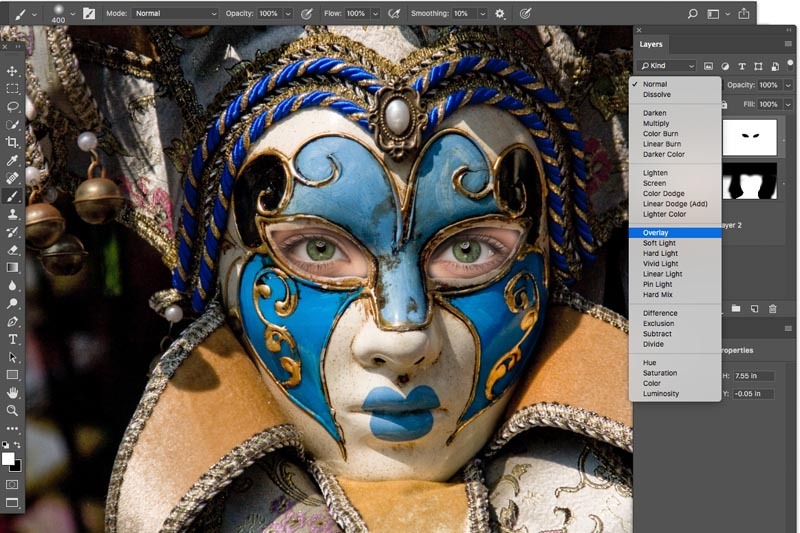 To mask a layer, select it and then click the Layer mask button at the bottom of the Layers panel. Note: You can’t apply a layer mask to a background. You need to unlock it first by clicking the pad lock icon on the background in the layers panel. Once you have a layer mask, you will notice it is white. This has no effect on the layer. 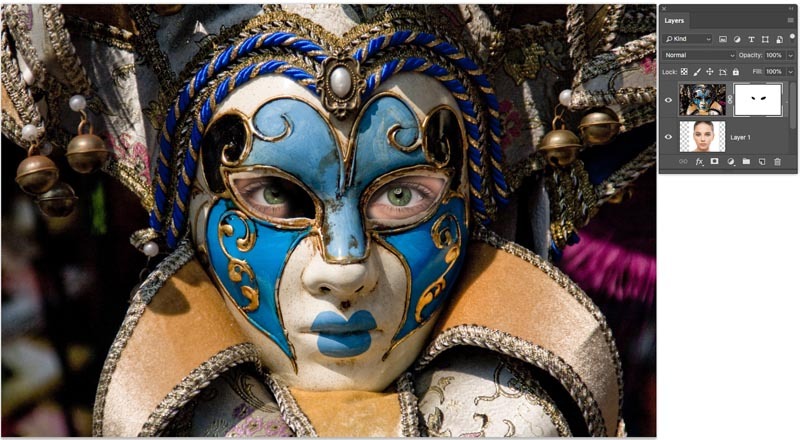 Choose the mask and paint on the image with a black brush, you will notice it hides the layer and you can paint it away. This is better than the eraser, because of you paint with white, the layer will come back. 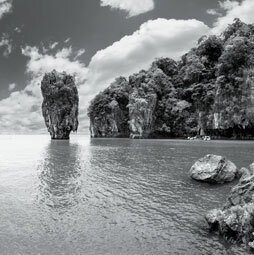 Different shades of gray will produce corresponding opacity; 100% white is 100% opaque. 0% white (Black) is 0 opacity, and thus fully transparent. 50% gray would yeild a result of 50% opaque. 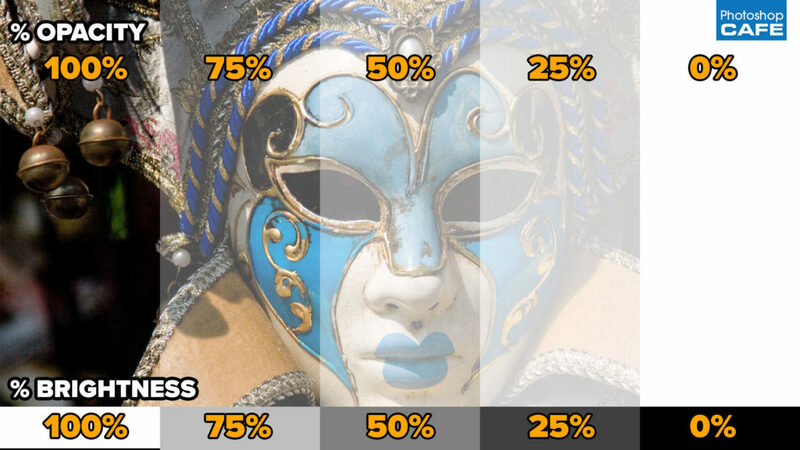 25% gray would be 25% opaque etc. Watch the video above to see why I use the gray color, rather than the obvious tranparence slider on a black brush. 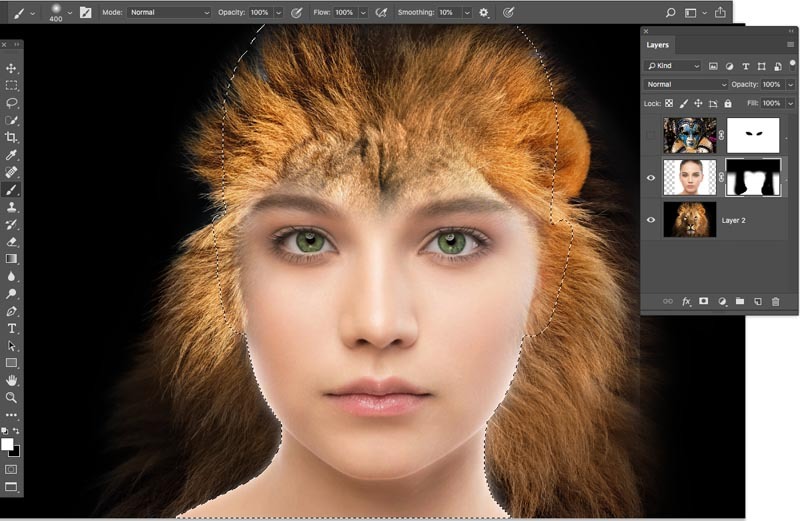 Masking Layers in Photoshop to make a lion woman composite. Here I am using the layer mask to punch out holes for the eyes to show through in the layer underneath. Just paint with a black brush, make sure the layer mask is selected. 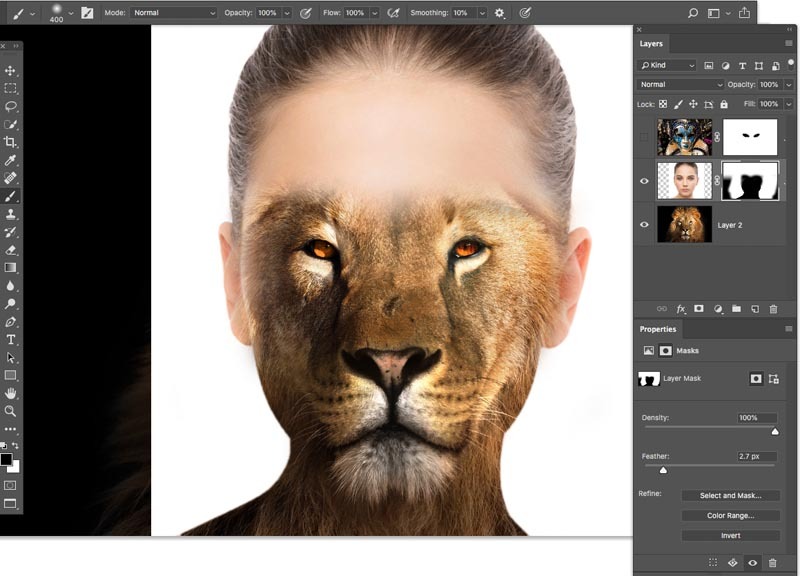 If I hide the layer of the woman (click the eye icon next to the layer) You can now see the lions face showing through. 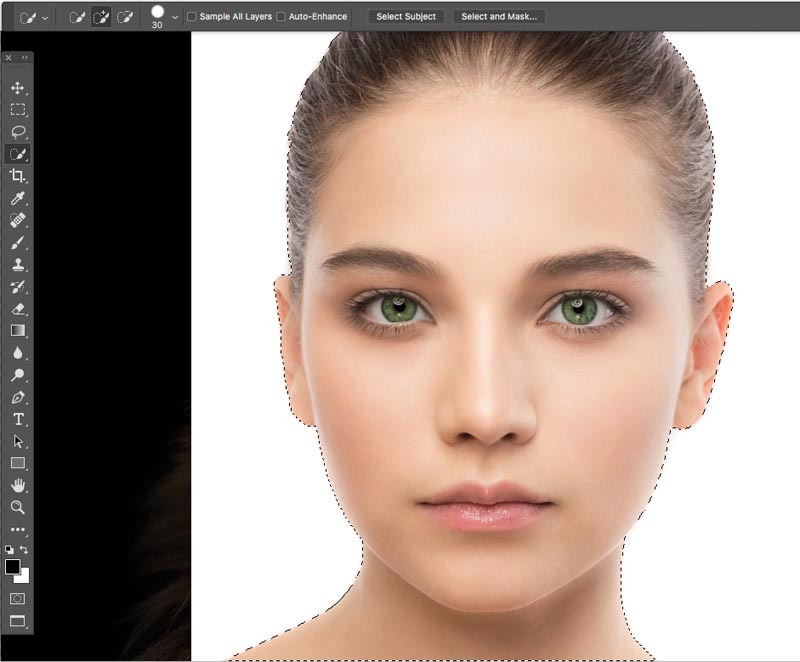 Choose the layer mask next to the woman’s face. 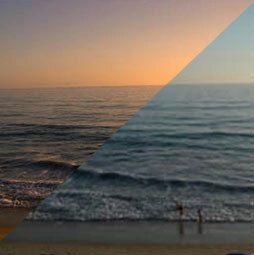 Choose the gradient tool, set it to foreground to background. Linear, mode normal and transparency to 100. Click and drag the gradient through the image. You will see a blend. (If you are lost, look at the video, this text is best as a reference). Now, try dragging the gradient in the opposite direction. Completely different result. 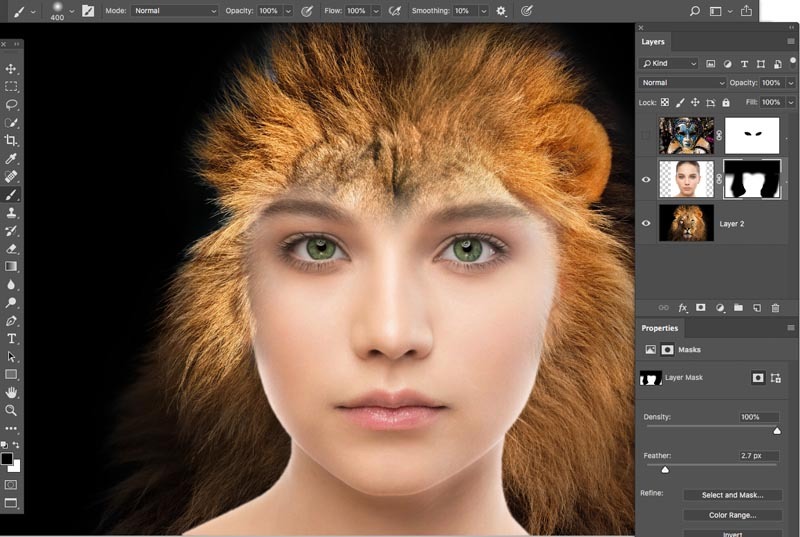 I’d like to keep the gradient, but remove the lion for the eye area and just have the woman eyes showing nice and clean. Guess how we do it? Yes. We paint with a white brush to bring back the layer we are working on. (Black hides the layer and lets what’s underneath show through. White shows our layer and hides the layers beneath). Here is what it looks like when we have finished painting the eyes back. Let’s [aint more and show more of the lion and hide the background. And the other side, Obviously this is too much and needs to be refined a bit. One of the things you will also notice is that its a bit rough around the neck. Let’s use selections to help. 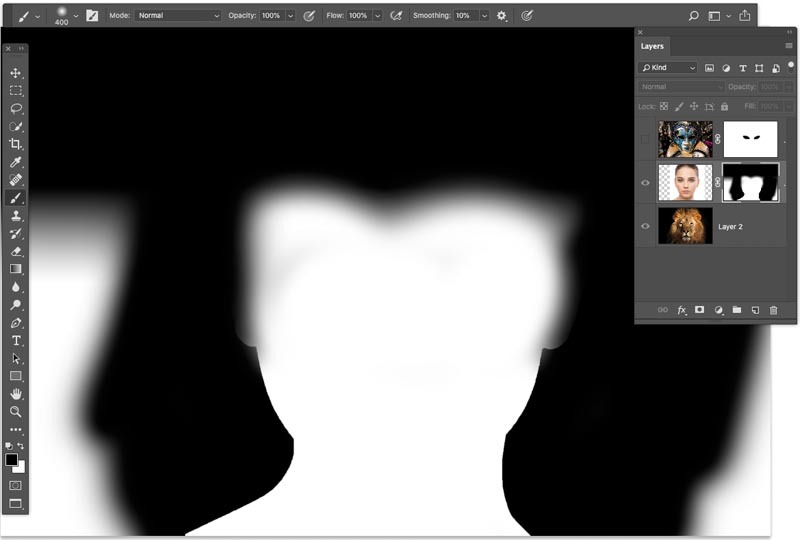 Tip 1: Shift+Click on the layer mask to hide it. 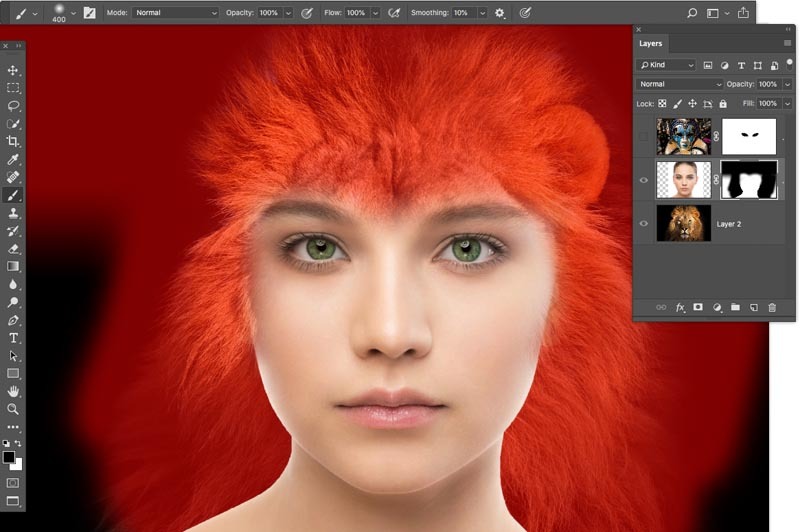 Use the quick select brush to select the face. Shift+Click on the mask once again to turn it back on. Now we will use the selection as a guide for better mask painting. With the mask selected and a white brush, paint inside the neck and chin area to paint away some of the lion fur. Select>Inverse to swap the selection to the outside of the face. Use a black brush and run around the edges of the neck to make a nice tight masking job and fill in the little holes. Tip #4 Feather the mask. The edge of the neck and cheeks is too hard and abrupt, let’s soften it. In the properties panel, move the Feather slider up just a little bit. You will see it softens the edge. 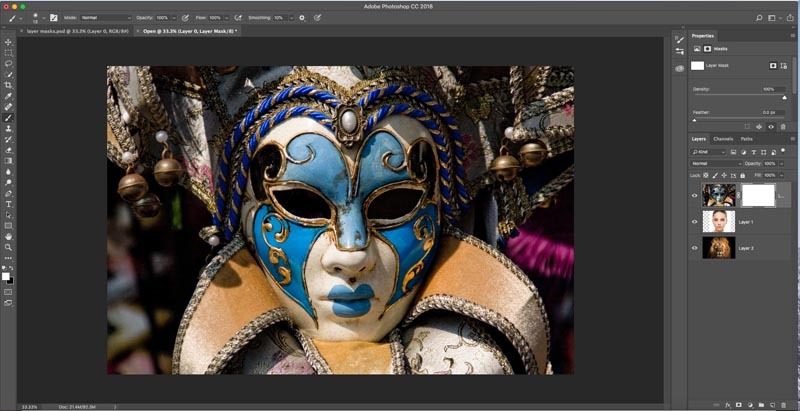 (We used to do this by adding a Gaussian blur to the mask, which you can still do if you want to soften it in some areas only). Tip #5 Invert the mask. Choose the Invert button for the Properties panel, or select the mask and press Cmd/Ctrl+I to invert or swap the mask. Let’s turn our top layer back on. It’s hiding everything. It’s really easy to bled everything in using blending modes. Choose the top layer. In the layers panel, where it says normal, click and change it to overlay. Grab my free Blending Modes ebook here, (if you are already subscribed to the mailing list, don’t sign up for the book because I include the link in the newsletters). 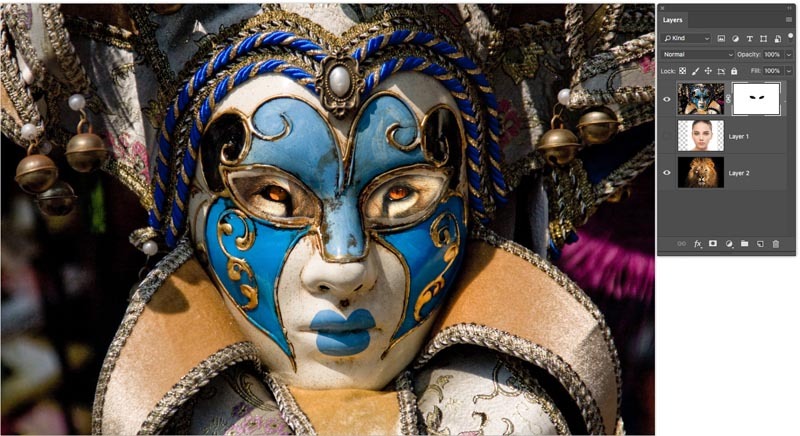 Grab a black brush and paint away the areas of the mask that you want to hide. Obviously this isn’t final art, the top mask needs to be nudged to the left a transformed a little. But this is a great starting place for you to continue playing around! Add a comment and subscribe for more tutorials! 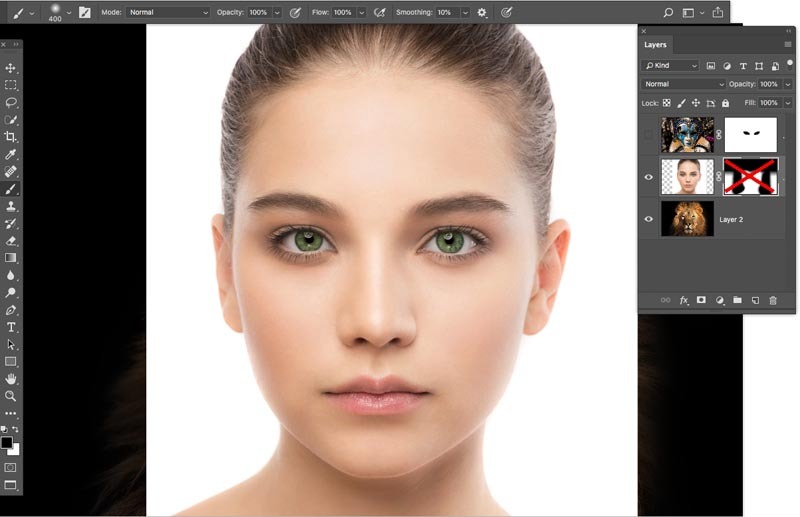 (Don’t forget to check out all the hundreds of Photoshop and Lightroom tutorials here at PhotoshopCAFE). I do not use Lightroom; I find the requirement of catalogs restricting. I have my photos well organized and can find the ones I need easily. Editing is done more completely within PS. FWIW, love the versatility of layer masks… Restoring a bunch of old photos, the Dust & Scratch filter is often necessary, but it also can lose a ton of detail — duplicate the layer, add the D & S filter, add a layer mask & invert, & I can paint just those [sometimes tiny] areas where I want & need to. Then I use the healing tools on things like faces. I love your tutorials especially those dealing with basic techniques. Everyone needs a refresher course and your explanations are very easy to follow and replicate. 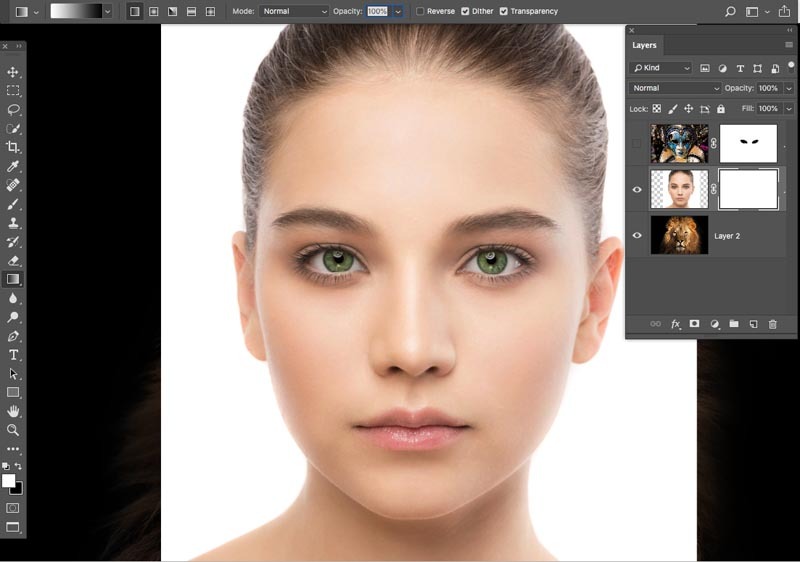 I have used Lightroom almost from its inception and find I use Photoshop less and less, usually for cloning or healing. 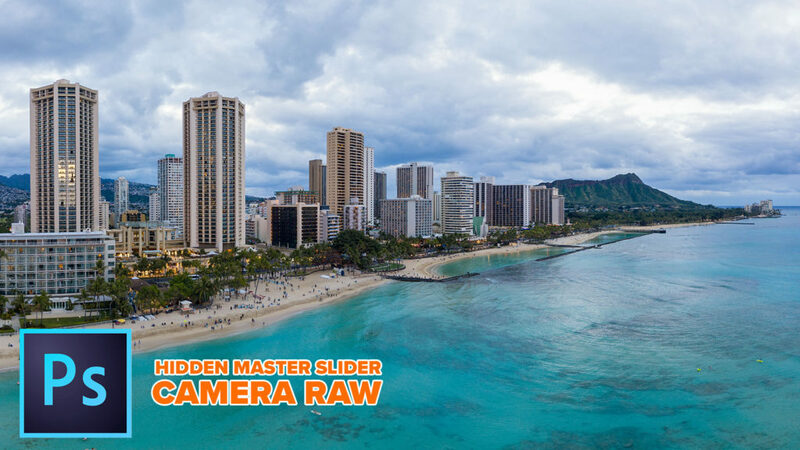 Do you think they would ever combine the two programs and get rid of Camera Raw ? Great as always, Colin. Thanks for these tips. I always used Ph. 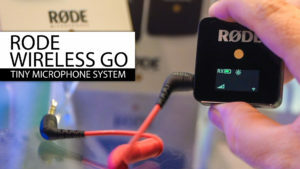 A great tool to get things done. Very helpful! Thanks! I already knew most of the tips but I didn’t know about the gradient. Another helpful tutorial! I don’t use Lightroom either only PS. The tip I learned from this video was about using 50% gray in the foreground color rather than changing the brush opacity. That is so much better, as I don’t get the results I want when I change the brush opacity. Thanks for these great videos. Thank you Colin for your easy to follow tutorials. 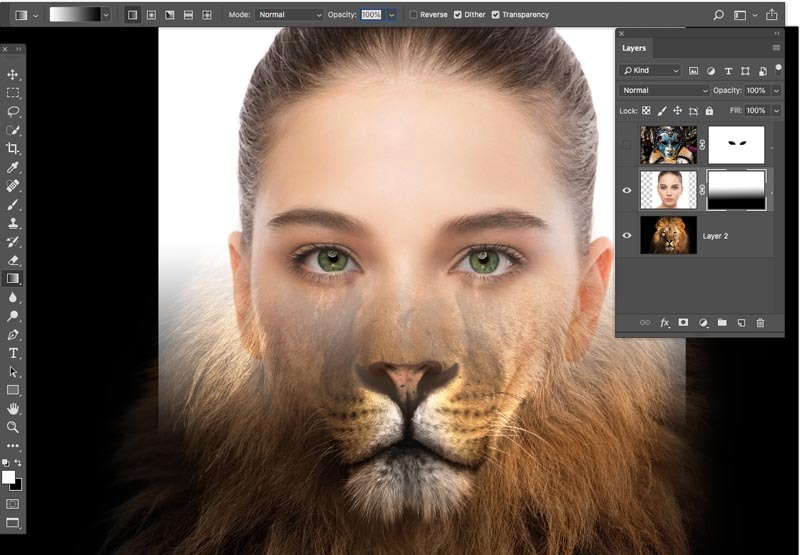 Layer Masks is so powerful and your tuto. so great. Hey, Colin! 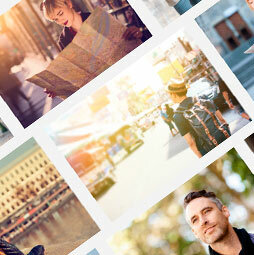 I do not use LR, but I appreciate how you simplified PS layer masking in this tut. Thanks for the tips! I do not use lightroom. I always enjoy your tutorials and do learn something new most of the time. I was not aware of changing the brightness in HSB to maintain a constant opacity color when masking, I always used the opacity slider in PS. Does the density slider in the masking panel do the same thing as using HSB opacity setting ? Thanks for another great Cafe tutorial. Hi Colin. Great video. I was unaware how powerful layer masks were. Many thanks. I did not know all of the methods used for the layer mask, thanks for the tutorial my workflow will be even more effective. really enjoyed this I didn’t know much about masks. 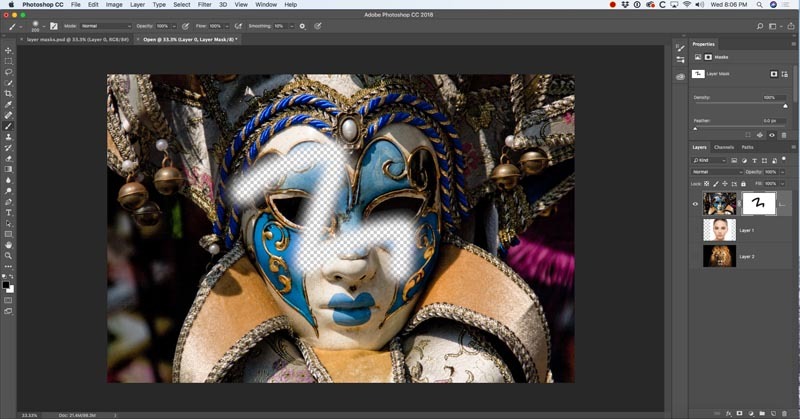 Love this update to previous layer mask videos. Will be using this in my intro to graphic design class in Cincinnati, Ohio. You can also use the alt/option key (on Mac) and click and drag the mask from one layer to another which is the same as copying and pasting the mask between layers. great video. didn’t know a lot about masking. love the way you explain things. Thank you for your help. 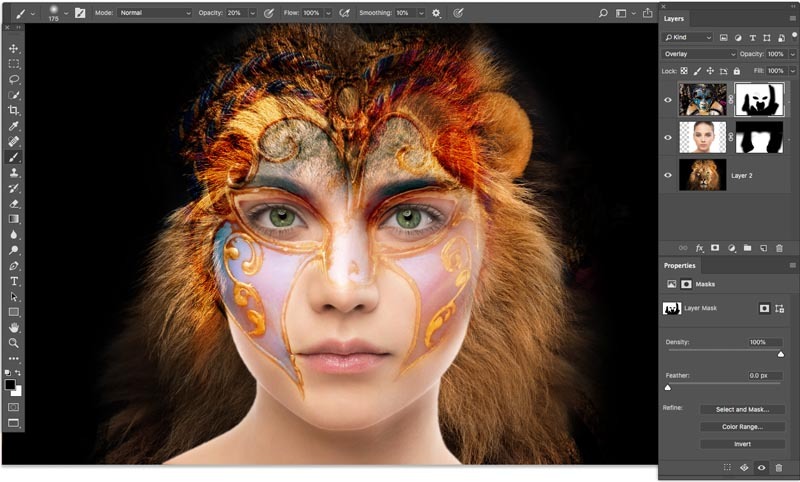 Am taking the course of Dave Cross on Advanced PS and am on lesson of masking – I have been using ‘masking’ for a while but not to the extent you demo’d in this tutorial. I found your instructions on ‘masking’ extremely helpful – was having a hard time following along w/ Dave, not to say I am not learning f/ Dave, but on ‘masking’, this tutorial was superior. I LOVE YOUR instructions and have bought only one so far – but I will be back for more. An excellent tutorial. I learned everything I wanted to know about layer masks. I really like the layer mask tutorial, I have not used it much but will have a go now. You are ALWAYS a needed source for learning more and inspiration for doing more ! Thanks. 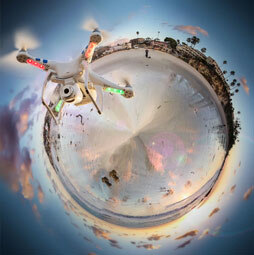 thanks collin your the best , am really impressesd with layer masks.. can i use layer masks to erase a background? Colin, your videos are superb and I and I always come away inspired! Can I do away with Lightroom all together and rely on Photoshop completely? Thanks!